Tara holds an MA from New York University, and BA in anthropology, English literature, and political science from the University of Pittsburgh. She defended her doctoral dissertation in September 2015 at CUNY Graduate Center in Urban Education, with a concentration in education policy. Her dissertation explored the transformative role that young people can play in college access policy and programming. She taught previously at Brooklyn College and Hunter College, and also worked as a social science researcher at the Annenberg Institute for School Reform, and research and evaluation fellow at College Access: Research & Action (CARA). At Guttman Tara teaches in the FYE, and in the Liberal Arts and Sciences and Urban Studies programs. Kristina Baines is an applied socio-cultural anthropologist with interests at the intersection of health and embodied ecological practices. She works with indigenous and immigrant communities, primarily in Belize and New York City. She also has a strong interest in innovative technologies and means of research dissemination. 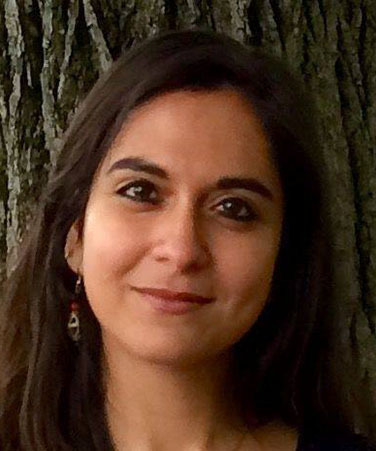 Ria Banerjee is an assistant professor of English at Guttman Community College where she teaches second-year courses in twentieth century literature, poetry, and drama. She also teaches composition and English courses in the First Year Experience. Her areas of research interest include modernist literature and culture and film studies, particularly film noir. Banerjee received her PhD from the Graduate Center, CUNY in 2014. Dr. Nicola Blake is an Associate Professor of English at Guttman Community College of the City University of New York, where she has served as Faculty Advisor to the Provost, Special Advisor to the Provost for Faculty Development and Mentoring, and Liberal Arts and Sciences Coordinator. Currently, Dr. Blake acts as Interim Dean of Faculty Affairs. was awarded the prestigious and highly competitive American Council on Education (ACE) Fellowship for 2016-2017. As an ACE Fellow, she focused on student success initiatives, strategic planning, and community partnerships. New York State Board of Regents Accreditation Reviewer. Among the numerous commendations Dr. Blake has received for her service and scholarship is a Service Award from the Colin Powell School for Civic and Global Leadership at CCNY. In addition, she has secured several national and local grants focused on high-impact practices to improve writing at the post-secondary level. and a Ph.D. in medieval literature from Rutgers University. Keino Brown is an instructor of Mathematics at Stella and Charles Guttman Community College. Keino received a BS and an MA in Mathematics from The City College of New York. He is currently a graduate student in the Mathematics PhD program at the CUNY Graduate Center. His current scholarly interests are Complex Analysis and Differential Geometry. April Burns, Assistant Professor of Psychology, holds a PhD in Social Psychology from the CUNY Graduate Center, and a combined BA in Sociology and Psychology from the Johnston Center for Integrative Studies at Redlands University. As a first-generation college graduate, her research is rooted in the social psychological dimensions of social mobility, and investigates the individual and relational/dialogic impact of educational attainment, particularly for working class families and first-generation college graduates. Her academic and professional training is rooted in youth Participatory Action Research (PAR) centering on the academic achievement/opportunity gaps observed in integrated NYC/NJ public schools. April has published her research on issues of educational equity in the Teachers College Record, and the Journal of Social Issues. She has also written on adolescent sexuality in relation to education in Feminism & Psychology and addressed the connection between adolescent sexuality/practices and academic achievement discourse in Sexuality Research and Social Policy (Burns, Futch & Tolman, 2011). April teaches First-Year Experience courses as well as courses in LAS. She has previously taught Gender Studies courses and Sociology courses in addition to courses in the field of Psychology. Dr. Buttet is Associate Professor of Economics and Business. He received his PhD in Economics from the University of Minnesota and his research interests include macroeconomics, monetary economics, and economics education. At Guttman CC, Dr. Buttet teaches mathematics courses in the first year experience and economics courses in program of studies. 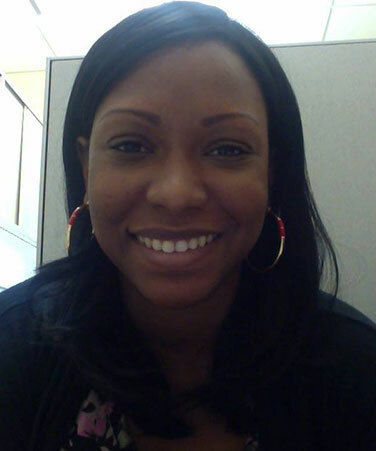 Dr. Laura H. Clarke is an Assistant Professor of English at Guttman Community College, City University of New York. Her research focuses on nineteenth-century poetry and drama, with a particular interest in the intersections between literature, philosophy, and the visual arts. Dr. Clarke has articles published and forthcoming in Victorian Poetry, Religion and Literature, and Cleo: A Journal of Literature, History, and the Philosophy of History as well as a book chapter in the edited collection Carlyle and the Idea of Influence. Dr. Clarke is currently completing her book manuscript, The State and the Stage: Robert Browning and the Politics of Poetic Drama, which explores the influence of the German Romantic concept of the poetic state on Browning’s view of nations as well as the relationship that the Victorians saw between the condition of drama and the state. Dr. Clarke’s next project will examine the impact of Romantic poetic theory and philosophy on the pioneering Victorian photographer Julia Margaret Cameron. At Guttman, Dr. Clarke teaches Composition and literature courses. Daniel Collins received his B.A. from SUNY Buffalo; M.A. from the University of North Carolina at Wilmington, and Ph.D. from Indiana University of Pennsylvania. 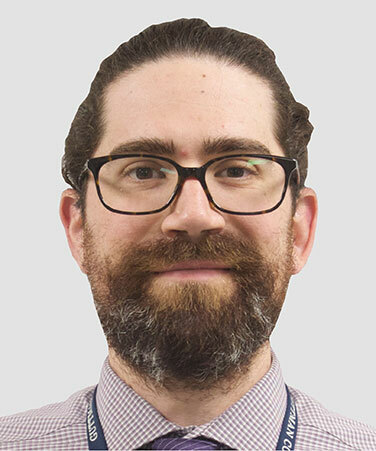 Daniel is currently an Associate Professor at Guttman Community College in New York City where he teaches courses in English and the Humanities. 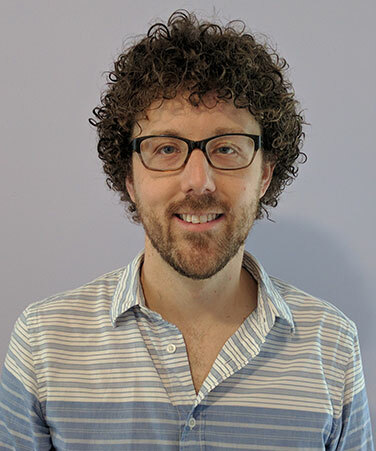 Recently, Daniel received his Masters in Public Health, and he is currently interested in the relationship between the act of writing and the creation and maintenance of student well-being. 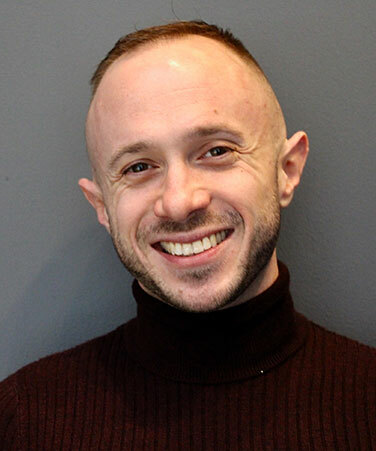 Ryan W. Coughlan is an Assistant Professor of Sociology at Guttman Community College, CUNY. He is an expert on the social context of schooling. Dr. Coughlan's research uses geospatial statistical methods to study school zoning practices, patterns of school segregation, educational outcomes, and social bonds between neighborhoods and schools. His research on school segregation has been featured in The New York Times, The Philadelphia Inquirer, and on NPR's All Things Considered. Along with his research on the social context of schooling, Dr. Coughlan is co-editor of Leaders in the Sociology of Education: Intellectual Self-Portraits (Sense Publishers, 2016), “Schools of Tomorrow,” Schools of Today: Progressive Education in the 21st Century (Peter Lang, 2016), and Sociology of Education: A Critical Reader (Routledge, 2016); and he is co-author of Exploring Education: An Introduction to the Foundations of Education (Routledge, 2017). He teaches Ethnographies of Work and a range of courses in both Liberal Arts and Sciences and Urban Studies. More information about Ryan W. Coughlan can be found at http://www.ryancoughlan.com. Maggie Dickinson is an assistant professor of Interdisciplinary Studies at Guttman Community College, CUNY. Her book, Feeding the Crisis: Care and Abandonment in America's Growing Food Safety Net, is forthcoming from the University of California Press in Fall 2019. As a cultural anthropologist, her research focuses broadly on urban food systems, welfare policy, inequality, and the politics of redistribution. 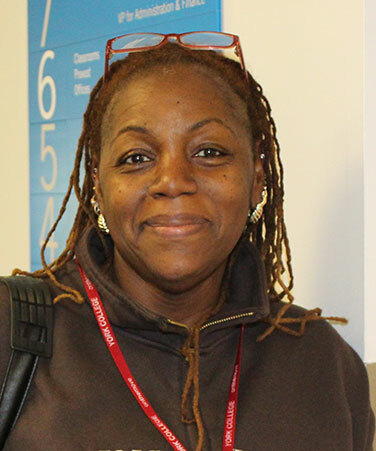 Ms. Edwards started her tenure at Stella and Charles Guttman Community College in August of 2013. In August of 2016 she was promoted to Clinical Professor, she is currently the Program Coordinator for the Human Services major and teaches both in the First Year Experience and the major. Ms. Edwards also worked as the Coordinator of Admissions for the Graduate School of Social Work at Adelphi University. She worked in this capacity from 2001 and she is currently there as an adjunct professor teaching in the master’s program. She was educated at The City University of New York, Hunter College. Since 1982 Ms. Edwards has worked in the social services field in various capacities including the Executive Director of a Scattered Site Housing Program, Coordinator of HIV/AIDS Services for Samaritan Village Inc., and as a Consultant/Trainer for several not-for-profit organizations. She is a seasoned clinician with expertise in HIV/AIDS, substance abuse, mental health, children and families and the geriatric population. Throughout her tenure she presented at many conferences, however is especially proud for her role in the development of the video and accompanying text book “We Care.” We Care was developed in 1990 as a guide for professionals and laypersons who were care givers to people living with HIV/AIDS. In 1997 she received the Diego Lopez award for her work in this capacity. For the past twenty-five years she also worked in academia as a Professor at York College, Queens College St. Joseph’s College, Fordham University, Adelphi University and Touro College. In addition to teaching social work and public health courses, she also has developed case management, CASAC, mental health and Train the Trainer (TOT) curricula for Fordham University, the Alcoholism Council of New York, and the Queens Comprehensive Perinatal Council. She also serves as a mentor to Afro-Caribbean men and women pursuing their academic and vocational endeavors. Ms. Edwards was a member of the St. Vincent’s Catholic Medical Center & Humanities & Arts Magnet High School Advisory Board. Dr. Forest Fisher earned a doctorate in mathematics at The George Washington University, where he conducted research in algebraic combinatorics. 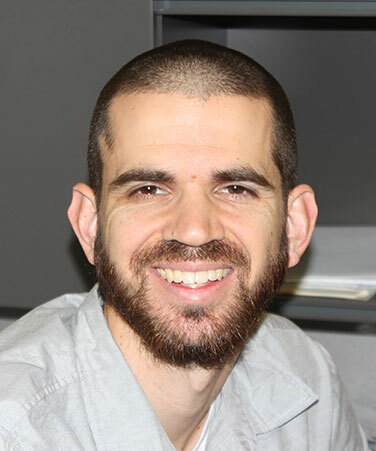 After graduating, he taught for three years at Northern Virginia Community College in Manassas, VA. During this time, his focus shifted from abstract mathematical research to the practical problem of teaching and learning, especially in the community college setting. He has taught undergraduate courses at two and four-year schools in mathematics and computer science. Since joining Guttman Community College in 2013, Dr. Fisher has served on the Assessment and Professional Development Committee and co-chaired the Middle States Commission Working Group on Institutional Assessment. 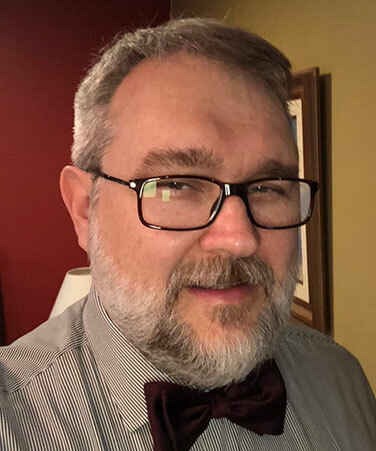 He serves as a peer reviewer on the North American GeoGebra Journal and PRIMUS and has published and presented at conferences on the scholarship of teaching and learning. His current research interests include quantitative literacy, academic technology, socio-cultural factors in learning, and the ability of learners to transfer problem-solving skills beyond the classroom. Nicholas Fortier is a doctoral candidate in the Philosophy and Education program at Teachers College, Columbia University. 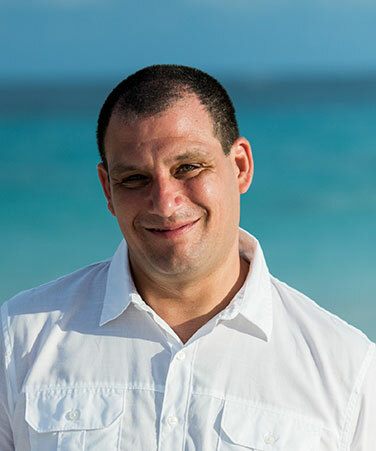 He holds a Master’s in Education in the Teaching of Urban Adolescents with Disabilities from Long Island University, as well as a Master of Arts in Philosophy from Stony Brook University. 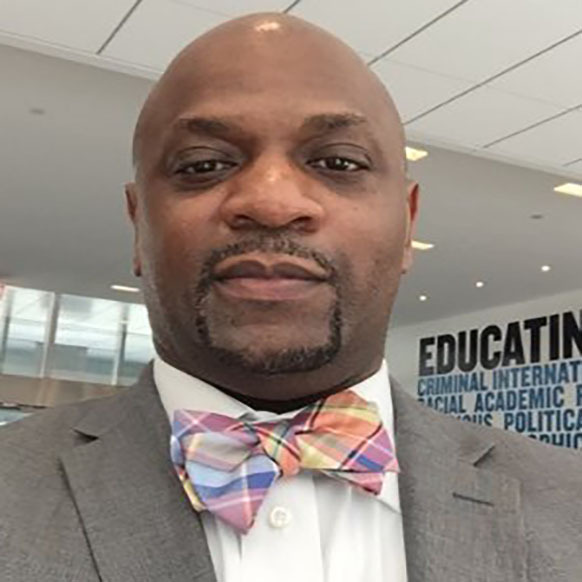 He has previously taught as a Graduate Coordinator at Guttman Community College, an adjunct at John Jay College of Criminal Justice, and a middle school special education teacher in Sunset Park Brooklyn. His scholarly work is focused on the relationship between ethics and aesthetics education, the way understandings of “public good” effect the space of the classroom, and the role of critique in the life of teachers and students. Dr. Karla Fuller received her Ph.D. in cell and molecular biology (cancer genetics) from Purdue University. After a post-doctoral appointment at the M.D. Anderson Cancer Center Science Park Research Center, she made a slight change in career to focus on mentoring and teaching undergraduate students at the community college level. Dr. Fuller teaches a variety of biology classes at Guttman Community College and also serves as Coordinator of the Liberal Arts and Sciences – Science Concentration. In addition to teaching, Dr. Fuller mentors student research projects ranging from antibiotic resistance to virtual reality for science education. Dr. Fuller’s research interests include best practices to increase learning and success for undergraduate science students, particularly from underserved populations. Dr. Fuller was awarded the National Association of Biology Teachers Two-Year College Teacher of the Year for 2016 and Education Update 2017 Outstanding Teacher of the Year. 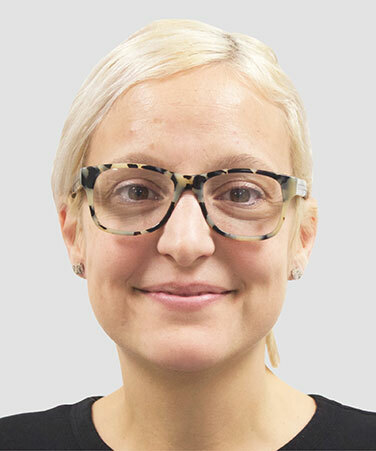 Dr. Mary Gatta joined the faculty as an Associate Professor of Sociology at CUNY-Stella and Charles Guttman Community College in August, 2015. Prior to her appointment at CUNY, Mary served as a Senior Scholar at Wider Opportunities for Women in Washington DC, and as Director of Gender and Workforce Policy at the Center for Women and Work at Rutgers University. In addition, she was an Assistant Professor in the Department of Labor Studies and Employment Relations at Rutgers. Mary is a leader in research and advocacy related to job quality, such as workplace flexibility for low-wage workers in business sectors including restaurants, tourism and manufacturing; workforce development training programs and nontraditional job training for women; and the lived experiences of seniors who lack economic security. Mary’s expertise includes the integration of a gender lens into these and other areas of economic policy analysis. In her latest book. Waiting on Retirement: Aging and Economic Insecurity in Low Wage Work (Stanford University Press, 2018) she explores retirement insecurity and low wage workers. In addition she is working on a large project on the economic insecurity of older women in Florida. Mary is also the author of All I Want Is A Job! Unemployed Women Navigating the Public Workforce System, released from Stanford University Press in April 2014; Not Just Getting By: The New Era of Flexible Workforce Development and Juggling Food and Feelings: Emotional Balance in the Workplace and is the editor of A US Skills System for the 21st Century: Innovations in Workforce Education and Development. Mary received a B.A. in social science from Providence College and her Master’s degree and PhD in Sociology from Rutgers University. 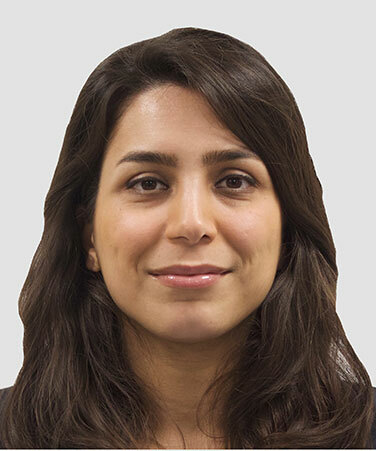 Shadisadat Ghaderi is an Assistant Professor of Mathematics, earned her Ph.D. in mathematics from West Virginia University (WVU), and her M.Sc. in mathematics from Sharif University of Technology, Tehran, Iran. Her research interests include combinatorics, graph theory, matroid theory, and their applications. Her Ph.D. dissertation is on infinite matroid theory and solving open problems in that domain. She has developed and taught various courses in mathematics at undergraduate level at WVU. She had the opportunity to teach in the Emerging Scholars Program (ESP), i.e. the honors-level calculus program with a very strong student support component, which mostly serves underrepresented minority students. She received fellowships to implement active learning methods in instruction to foster in students critical thinking and to improve their effective communications with peers as well as their technical speaking and writing skills. She also pursued a Certificate in Applied Statistics at WVU. At Guttman, she teaches mathematics and statistics. Meghan Gilbert-Hickey is an Assistant Professor of English at Guttman Community Colelge, a part of the City University of New York. She holds a PhD in English from St. John’s University, MAs in English and Rhetoric/Communications from Texas A&M University and the State University of New York at Brockport, respectively, and a BS in Business Management from the State University of New York at Geneseo. Meghan’s recent essay-length publications focus on intersectionality in contemporary young adult dystopias. Along with a colleague, she is editing a forthcoming collection of essays, Raced Bodies, Erased Lives (University Press of Mississippi), that interrogates the impulse to prioritize conversations about gender and class, while deflecting attention away from rich work on race geared toward a young adult readership. She is also at work on a single-author manuscript, tentatively titled The Hetero-Nuclear Imperative, that examines intersectional maternity in YA dystopian fiction. Jane E. Hindman’s primary goal as an educator and scholar has always been student success, especially the success of under-prepared, first generation, and (the new majority) under-represented students. During her more than thirty years working in Higher Education, she has contributed to that goal by teaching; training future teachers; developing curricula and programs; developing and implementing assessment plans and instruments; directing faculty development and grant programs. Dr. Hindman joined CUNY in 2012 and currently serves as Professor at Guttmann Community College. Before joining CUNY she served as an Associate Professor at San Diego State University and an Assistant Professor at Montana State University; at the Institute of American Indian Arts her role as Retention Specialist included teaching. Dr. Hindman’s Ph.D. in Rhetoric, Composition, and the Teaching of English was awarded by the University of Arizona where she also earned M.A. degrees in Literature and Teaching English and a Second Language. She has taught Basic Writing, Composition, Business and Professional Writing, Composition for Foreign Students, Advanced Composition, Teaching Methods and various literature courses to undergraduate students as well Composition Pedagogy; Composition Theory; Research Methods; Modern Rhetorical Theory; Feminist Rhetorics; and Writing Knowledge and Culture to graduate students. In addition, Hindman has published multiple scholarly articles as well as edited and reviewed other scholars’ articles for publication in peer reviewed journals. 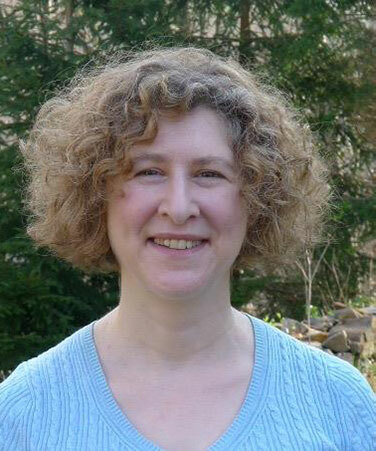 Her own scholarly work, which focuses primarily on professional critical literacy and “embodied writing,” has been published in College English, Journal of Basic Writing, JAC: A Journal of Composition Theory, WPA: Writing Program Administrator, Pre/Text HyperText; LIT: Literature Interpretation Theory as well as several edited collections. Chet Jordan is an Assistant Professor of Interdisciplinary Studies at Guttman Community College. Dr. Jordan is a member of the Inaugural Faculty and joined the college on opening day in 2012. He is a graduate of the Ph.D. program in Urban Education at the CUNY Graduate Center where he studied policy issues related to postsecondary education. Jordan is the co-author of CUNY’s First Fifty Years: Triumphs and Ordeals of a People’s University with Dr. Anthony Picciano. Additionally, his research focuses on higher education policy, particularly issues that community colleges face in educating students from diverse backgrounds. Dr. Jordan is presently working on a number of grant-funded projects with colleagues at CUNY on the issue of community college student transfer. At Guttman, Jordan teaches in the Liberal Arts & Sciences and Urban Studies programs and supports the college’s institutional research efforts. Dr. Jordan also teaches courses in education policy in the Urban Education Ph.D. program at the CUNY Graduate Center. Dr. Kim, an Assistant Professor of Chemistry at Guttman, received her Ph.D. in Organic Chemistry from Georgetown University in Washington, DC. 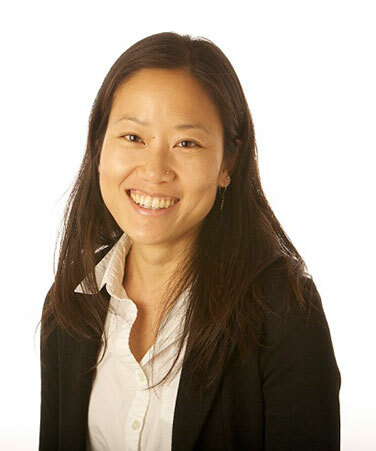 Dr. Kim did her postdoctoral studies in Breast Cancer at Lombardi Cancer Center, Georgetown University Medical Center, and she was a Susan Komen Breast Cancer Foundation Fellow. 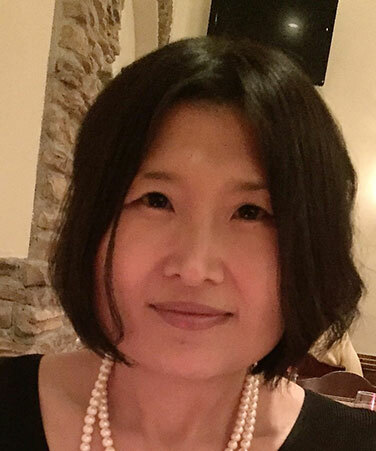 Prior to joining Guttman, Dr. Kim have taught all areas of Chemistry at the City University of New York, William Paterson University and Ramapo College of New Jersey. Her research focuses on developing ecofriendly chemical processes to reduce or eliminate toxic chemical wastes. Nicole Kras is an Assistant Professor of Human Services at Guttman Community College, City University of New York. She received a BA in psychology and a MA in art therapy from Albertus Magnus College and a MS in education and a Certificate of Advance Graduate Study as a Classroom Teacher Specialist from Southern Connecticut State University. Nicole received her Ph.D. in adult learning and development from Lesley University. She currently serves as the President of the New England Organization for Human Services and is a Board Member of the National Organization for Human Services. 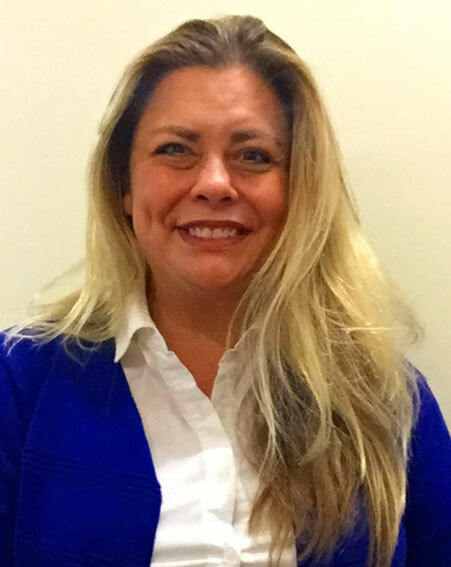 Nicole teaches Health and Human Services Policy and Ethnographies of Work. Her current areas of research are the benefits of nature-based programs on college campuses and human services curriculum design. 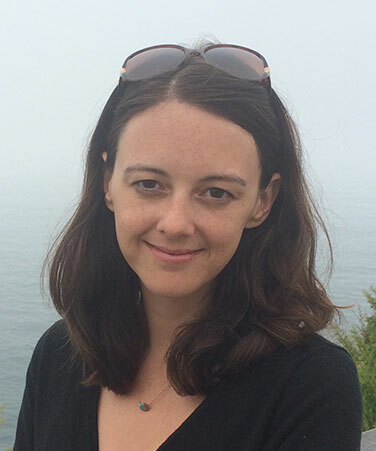 Meagan Lacy earned her BA, with majors in philosophy and English, at Seattle University, her MLIS at the University of Washington, and her MA in English at Indiana University (Indianapolis). Meagan became a librarian primarily because she is attracted to the profession’s core values—its democratic mission and its commitment to lifelong learning through information literacy. As Guttman’s information literacy librarian, her main task is to empower students to use information critically to learn and to create new knowledge. Having previously worked in public and private K-12 schools, she saw firsthand the difference information makes, the advantage—the privilege—of better access. 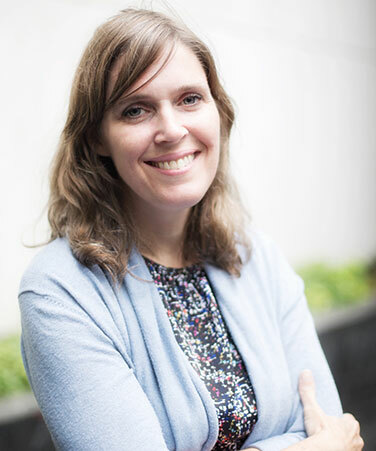 So, whether she is teaching in the classroom, or meeting with a student for a research consultation, or providing access to faculty scholarship by posting their work to CUNY’s online intuitional repository, her goal is to narrow this divide. Information literacy, the ability to recognize when one needs information and to effectively find, evaluate, and use the needed information is important not only to one’s academic success but also to one’s social and political well-being. Without IL skills, one cannot participate in democracy, and one cannot be free. Vivian Lim is an Assistant Professor of Mathematics. She holds a Ph.D. from the University of Pennsylvania in Teaching, Learning, and Teacher Education; an M.A. from CUNY Brooklyn College in secondary mathematics education; and a B.A. from Columbia University in psychology and mathematics. Her research interests is in the role of mathematics education, specifically mathematics for social justice, in fostering the development of youth as citizens. Before coming to Guttman, Vivian taught courses for mathematics teacher preparation programs at both the University of Pennsylvania and Brooklyn College. She was also formerly a high school mathematics teacher in Brooklyn. 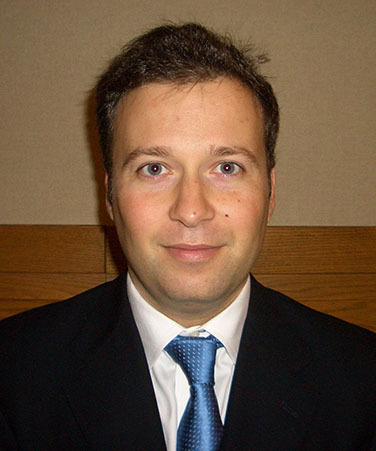 Dr. Rodrigo Lobo is Assistant Professor of Business. His academic background includes a Ph.D. in business administration from Positivo University, Brazil. Dr Lobo is formerly a Visiting Scholar at University of California, Berkeley - Haas School of Business, where he developed research work on Innovation Management. He has near 30 years of corporate experience and held executive positions at Accenture and Coastal Technologies, lately acquired by Dupont. Dr Lobo teaches City Seminar and Business. Molly Vollman Makris is Assistant Professor of Urban Studies at Guttman Community College, City University of New York. She also serves as the Program Coordinator for Urban Studies. Dr. Makris holds a Ph.D. in Urban Systems with concentrations in urban educational policy and the urban environment from Rutgers University and New Jersey Institute of Technology. She received her MALS from the CUNY Graduate Center in Urban Education and a BS from NYU in Secondary Education. She began her career as a social studies teacher in a NYC public high school and then worked for a nonprofit youth development organization. Her current areas of research are urban education reform, charter schools, school segregation, public housing, privatization of public space, and gentrification. She is the author of the book Public Housing and School Choice in a Gentrified City: Youth Experiences of Uneven Opportunity (Palgrave Macmillan, 2015) that won the American Educational Studies Association Critics Choice Book Award and the New Jersey Studies Academic Alliance Book Award in 2016. Her articles have been featured in journals such as the Peabody Journal of Education, the Journal of Urban Affairs, and the Journal of Education Policy. Her research and teaching have been featured on The Takeaway, The 74 Million, Chalkbeat, and others. She enjoys presenting her work at the conferences of the American Educational Research Association, the Urban Affairs Association, and the American Educational Studies Association. Dr. James Mellis is an Assistant Professor English at Guttman Community College. Before coming to Guttman, Dr. Mellis taught at William Paterson University in Wayne, NJ, Temple University in Philadelphia, PA and St. Bonaventure University in Olean, NY. Dr. Mellis earned a B.A. in English from Colgate University, a M.Phil in Anglo-Irish Literature from Trinity College, Dublin and a PhD in English from Tulane University in New Orleans, LA. He considers himself fortunate that his educational pursuits have brought him to fascinating cities and culture that continue to shape his work and life.His dissertation, entitled “Writing Blackface: African-American and Jewish Writers in the Jazz Age” examined cross-cultural creation, imitation and appropriation by Langston Hughes, Zora Neale Hurston and Fannie Hurst in their work. 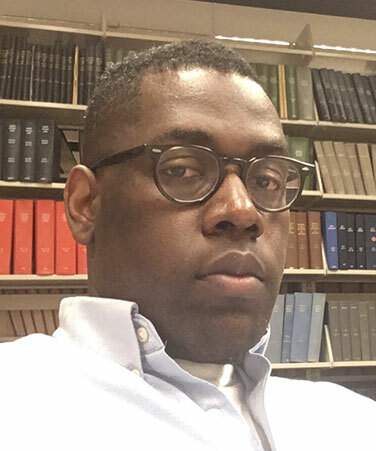 Dr. Mellis’ current research interests are centered on voodoo in African-American literature, civic engagement in higher education, and contemporary strategies in teaching writing and rhetoric. He is currently editing a volume of original essays about how voodoo, conjure and hoodoo appear in African-American literature from slave narratives to the present, and is leading a Global Guttman course about the challenges faced by New Orleans in the wake of Hurricane Katrina. 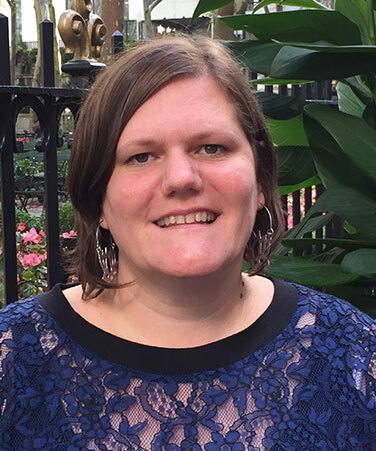 As part of this course, Dr. Mellis will lead the class for an immersive week in New Orleans that will combine volunteer work with lectures, cultural excursions and meetings with historians and social justice activists. 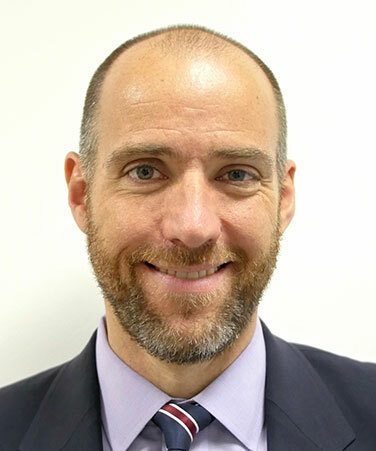 In his free time, Dr. Mellis enjoys reading, writing, being outdoors and trying to take advantage of the many cultural opportunities working in Manhattan affords. Nate Mickelson is Assistant Professor of English at Stella and Charles Guttman Community College. His research and teaching explore the intersections of poetry and poetics, creative literacy, and everyday life. He earned his PhD from The Graduate Center, CUNY, an MA from Hunter College, CUNY, and a BA from Yale University. Nate joined Guttman as a Research Associate in February 2010 and has served the college in various capacities since, including as Coordinator of Summer Bridge, Coordinator of City Seminar, Instructional Team Leader, Faculty Fellow for Excellence in Teaching, and Chair of the Assessment & Professional Development Committee. In addition, he created and facilitates The Guttman Seminar, a semester-long professional development seminar for part-time faculty. Nate has organized sessions at recent national conferences of MLA, CCCC, and ACLA, among others. He also serves as Vice Chair of the Assembly for Expanded Perspectives on Learning, a standing group of NCTE and CCCC, and organized AEPL’s 2017 summer conference, “Writing as a Way of Being Human.” His article, “Writing at Transitions,” advocates for holistic understanding of what students experience in the classroom. His first book, City Poems and American Urban Crisis, 1945-Present is forthcoming in Bloomsbury’s Critical Poetics Series. Before joining Guttman, Nate worked as a Business Manager in the retail division of the Museum of Modern Art. He sings tenor with an avocational chorus, New Amsterdam Singers. 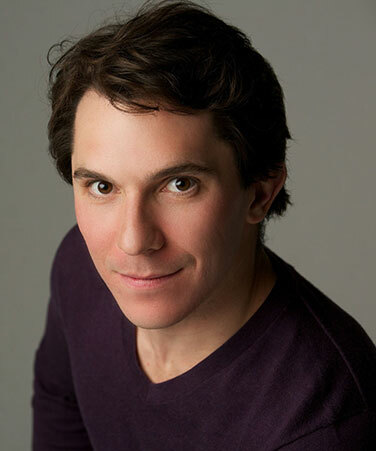 A native of Wyoming, Nate lives with his husband in Jackson Heights, Queens. 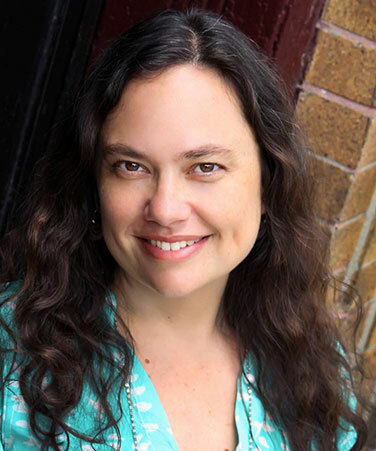 Andrea Morrell is Assistant Professor of Urban Studies and Anthropology at Guttman Community College CUNY where she teaches first year courses on urban inequality and immigration and courses in the Urban Studies program. Her research focuses on prisons, deindustrialization, and race and class in the United States. She is completing a book on prison expansion in Elmira, New York. Her writing has been published in North American Dialogue. Professor Niu holds a BS degree from Shandong University, China, an MEng from Beihang University, China, and a PhD from CUNY Graduate Center, all in Computer Science. His current research interests lie between Computer Science and Economics, focusing on agent-based computational economics and market-based control. Before joining Guttman, Professor Niu previously held research positions at Lenovo Research, Yahoo! Labs, University of Birmingham, UK, University of Essex, UK, and the City College of New York. He has served as program committee members for top AI conferences and workshops, including AAAI and AAMAS. He has published one book, eight book chapters, eight journal articles, and about 20 conference papers at top agent research venues. Professor Niu is zealous in building software tools for research. 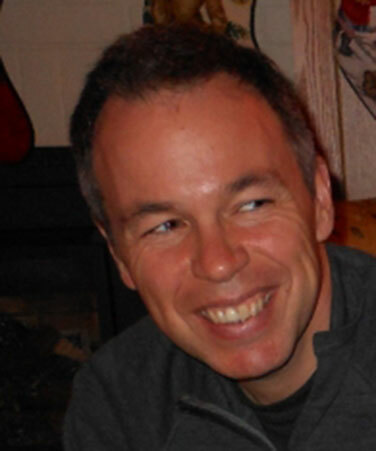 He is the architect of JCAT (http://jcat.questiers.info/), an open-source software package for simulating double-sided auctions, and of OOPN-IDE, an object-oriented Petri net-based integrated development environment for concurrent software. 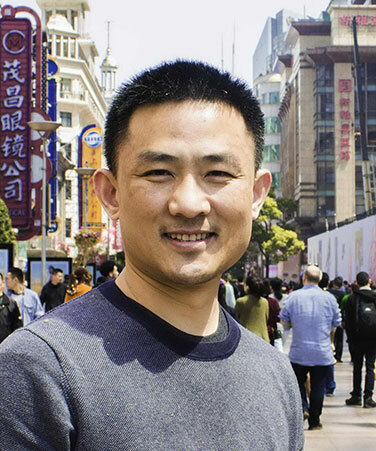 Professor Niu has taught all courses in the Program of Information Technology as well as Quantitative Reasoning for first-year students at Guttman. He is fond of teaching, passing on knowledge to younger generations. He believes that teaching students "how to fish" is more important, though more challenging, than simply "giving a fish" to them. He is particularly passionate about engaging students in authentic research. As a long-time faculty advisor in the CUNY Undergraduate Research Scholars Program, Professor Niu has worked with students on several research projects over the years, topics ranging from robotics and 3-D imaging to data mining in social media and voice-based control using Amazon Alexa. Grace Pai, Assistant Professor of Mathematics, was a former high school math teacher through the NYC Teaching Fellows program. 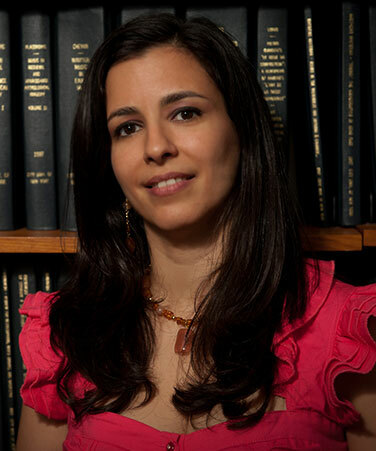 Prior to joining Guttman, she worked as Senior Research Associate at the New York City Department of Education using quantitative analysis and mixed methods for program and impact evaluation, and also has experience doing international development work in South Asia and sub-Saharan Africa (Bangladesh, South Africa and Sierra Leone). She holds a Ph.D. in International Education with a concentration in applied statistics from New York University, an M.Ed. in Secondary School Mathematics from Brooklyn College, an Ed. M. in Prevention Science and Practice from the Harvard Graduate School of Education, and a B.S. in Management and International Business from the Stern School of Business at New York University. Her research interests include education policy, math education, college access, social stratification and international development. At Guttman, she teaches math and statistics. Dara Pir, Assistant Professor of Information Technology, holds a Ph.D. and a Master of Philosophy in computer science from The Graduate Center, City University of New York. Dara’s professional background includes design and development of software in small, mid-size, and large companies. He has taught information technology courses at Guttman since 2014. Dara’s current research interests include signal processing applications in computer science. James Rodriguez is a lifelong New Yorker and CUNY Alum who graduated from Brooklyn College with B.A. 's in English and Psychology. James began his formal research in public housing and gentrification at New York University's Ph.d program in American Studies. Alongside academic research, James has also worked as a land use/public housing organizer on the Lower East Side. Currently, James serves as Assistant Professor of History at Guttman Community College. 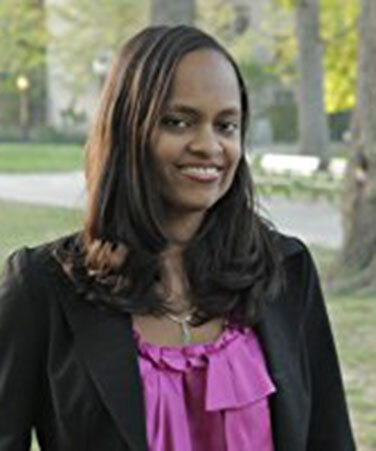 Tashana S. Samuel, Assistant Professor of Psychology, holds a Ph.D. in Psychology from The Graduate Center, City University of New York, and a B.A. in Philosophy and Psychology from Brooklyn College. As a developmental psychologist, Dr. Samuel’s research focused on cognitive flexibility in children with autism spectrum disorder (ASD), and children with other cognitive and linguistic neurodiversities. Her research investigated perseveration of sameness in autism, how preschool children with ASDs represent everyday events, and the extent to which they are able to use what they have learned to flexibly apply their knowledge to new situations through the use of age-appropriate toys. 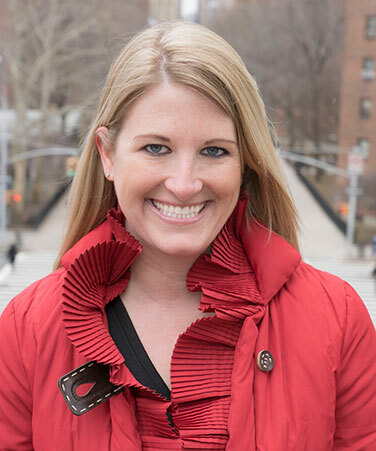 She has also worked at Columbia University Medical Center/New York Presbyterian Hospital on Catherine Monk’s longitudinal research project examining depression levels in pregnant teenage mothers, and developmental outcomes in their children after birth. For several years, she has taught child psychology courses at Brooklyn College, and was the recipient of several fellowships that promoted STEM education. At Guttman Community College, Dr. Samuel teaches psychology and statistics courses. Her current research focuses on inducing mindfulness and growth mindset theory as an embedded classroom intervention to mitigate math anxiety in students as they take math-intensive courses. Cognitive development in children and adolescents; mindfulness, growth mindset theory, and other psychological interventions to reduce academic anxiety in community college students. Cognitive development in children and adolescents; mindfulness, growth mindset theory, and other psychological interventions to reduce anxiety and stress in community college students. Marla A. Sole is an Assistant Professor of Mathematics at Guttman Community College, the City University of New York. She received her doctorate in Mathematics Education from New York University and earned Bachelor's and Master's degrees in Mathematics. Dr. Sole has authored numerous referred journal articles, a referred monograph chapter, and her letters to editor have frequently appeared in the New York Times and the Wall Street Journal. She has published on a diverse range of topics including: survey design and implementation, statistical literacy, financial literacy, mathematical modeling, mathematics portfolios, open-ended questions, linear programming, gender diversity in the field of mathematics, intuitively understanding calculus, charter vs. public schools, educational loans, school improvement, teacher expectations, and the value of a college education. Her research examines the connection between pedagogical practices and educational policies and has implications for curriculum developers, educators, and those who play a role in setting educational policies. Dr. Sole has taught a wide range of pure and applied mathematics courses, created online statistical modules as part of a National Science Foundation funded grant, developed a course in Quantitative Reasoning, supervised a senior thesis in Mathematics Education, and is presently collaborating with colleagues to examine how to create streamlined successful mathematics pathways as part of a Teagle Foundation funded grant. 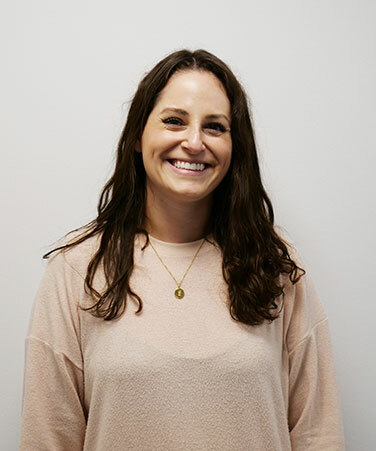 She is the recipient of NYU’s Mitchell Leaska Dissertation Research Award, NYU’s Graduate Student Organization Outstanding Student Star Award, and WCC’s Adjunct Faculty Excellence in Teaching Award. Dr. Sole is an elected member of two international honor societies: Pi Lambda Theta and Kappa Delta Pi. 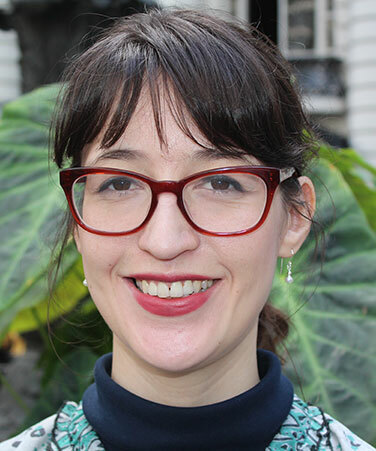 Anya Y. Spector, Assistant Professor of Human Services, earned a Ph.D. in Social Work from the Columbia University School of Social Work, an MSW from Fordham Graduate School of Social Service, and a B.A. in Psychology from Barnard College at Columbia University. Dr. Spector also completed a post-doctoral fellowship at the HIV Center for Clinical and Behavioral Studies at Columbia University. Dr. Spector’s career has included direct clinical practice in outpatient substance use treatment as well as, public health research, and program evaluation at the New York City Department of Health and Mental Hygiene. Her mixed and multi-methods research has been focused on understanding human services providers’ professional practices in the areas of HIV prevention and substance use treatment. Dr. Spector’s work explores providers’ attitudes and participation in behavioral research and interdisciplinary collaboration, and adoption of evidence based practice. 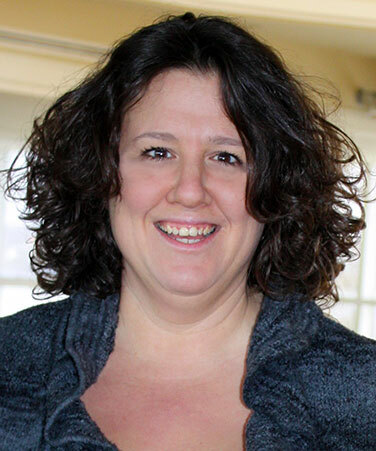 Dr. Spector teaches primarily in the Human Services field of practice. Ethnomusicology, Piano Performance, Global Popular Music, Music and Race, Diaspora, Urban Public Art, and Street Dance. Derek Tesser, Instructor of Science, received a B.A. from Brandeis University in History and a M.S. in Biology from NYU. He has taught STEM courses at Guttman Community College since the college opened in 2012. More recently he is involved with the development of the Global Guttman program. 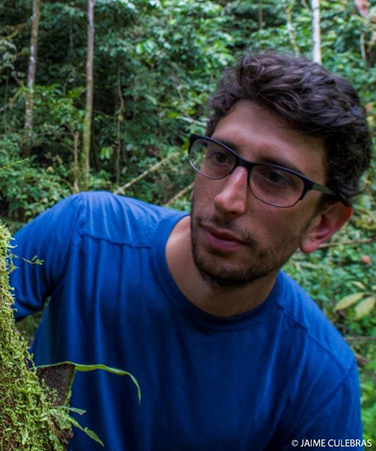 He has led student field expeditions to the Chocó rainforest in Ecuador to study endemic species, biodiversity indicators, and deforestation related to the region’s changing ecosystem dynamics. His broader research is in the field of terrestrial ecosystem remote sensing. He is currently pursuing his PhD in Earth and Environmental Science at the CUNY Graduate Center and is conducting research at the Ecosystem Science Lab at City College. His doctoral work is focused on the integration of satellite remote sensing data products into hydrological models that inform the New York City water supply. Applying remote sensing and modeling to explore spatial and temporal variability in ecosystems. Dr. Alia R. Tyner-Mullings earned a doctorate in sociology at the CUNY Graduate Center, where she researched alternative educational models. She has taught graduate and undergraduate courses on sociology, deviance, statistics, gender, research methods and education. After finishing her doctorate, she was a post-doctoral fellow at Teachers College, Columbia University, in the Sociology and Education Program and then an assistant professor at Morgan State University in Baltimore, Maryland. A former high school math teacher, Dr. Tyner-Mullings has served on assessment committees for three small high schools and has also worked as a statistical or academic consultant for several colleges and universities. Her research interests include the sociology of education, communities, sports, and cultural studies. Dr. Tyner-Mullings authored Enter the Alternative School: Critical Answers to Questions in Urban Education (Paradigm Publishers, 2014), an in-depth examination of public school alternatives to traditional educational models. She is also the co-editor of Critical Small Schools: Beyond Privatization in New York City Urban Educational Reform (Information Age, 2012) and co-author of Writing for Emerging Sociologists (Sage Publications, Inc., 2013). The Sociology Student’s Guide to Writing was released in 2016. Lori D. Ungemah is an Associate Professor of English at Guttman Community College. Prior to joining Guttman, Professor Ungemah was in the inaugural cohort of the New York City Teaching Fellows and taught middle and high school English for eleven years at Title I schools in Brooklyn. After completing her Doctorate in Education at Teachers College, Columbia University, Professor Ungemah became a founding faculty member of Guttman Community College in 2011. Professor Ungemah’s research interests are curriculum studies and in the desire for praxis between the theoretical work of critical curriculum studies and the act of enacting curriculum in the classroom. She is interested in culturally relevant and sustaining pedagogy, hyperdiverse classroom contexts, immigrant student populations, and issues in urban education. Her current research is on curriculum and cruel optimism and a collaborative project on the unintended consequences of culturally relevant curricula. Professor Ungemah has published in Anthropology and Education Quarterly, The Journal of Adolescent and Adult Literacy, English Journal, and Learning Communities Research and Practice. She is an ethnographic researcher who is strongly committed to the scholarship of teaching and learning. Although English faculty by title, Professor Ungemah’s teaching is interdisciplinary in nature. She has created and taught the college’s Arts in New York City Course, Ethnography of Education/Work, and Cities in Film, Literature, and Theory course. She believes community college students should participate in authentic ethnographic research upon entering higher education, and incorporates ethnography in/across the majority of her classes. 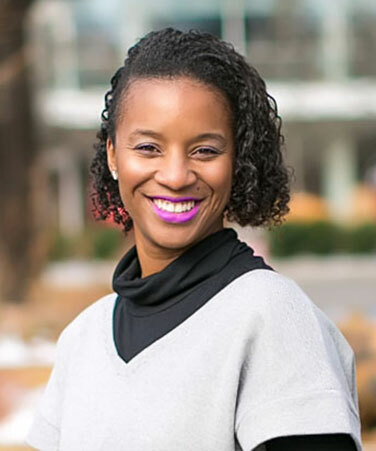 Professor Ungemah lives in Brooklyn with her family and cats where she is an active supporter of public schools, city parks, and New York City’s beaches. Rebecca Walker received her Ph.D. in mathematics, with a concentration in teaching undergraduate mathematics, from Western Michigan University. She has been working in the field of mathematics education since 1985. Her current work is focused around creating innovative mathematics curriculum materials to increase student success in mathematics, student understanding of basic algebraic concepts and how that understanding impacts student success in algebra, and assessment of student understanding of mathematics. She is an author for the Core-Plus Mathematics Project High School Curriculum and of the Transition to College Mathematics and Statistics Textbook, which are published by Glencoe-McGraw Hill. She is also interested in how students navigate the transition from high school mathematics to college mathematics. Prior to joining the faculty at Guttman Community College, Dr. Walker was an Associate Professor of Mathematics Education at Grand Valley State University in Michigan. In addition to teaching math education classes, her work at GVSU included working with preservice teachers during their initial field placements. Dr. Walker has also taught high school mathematics in California and New Jersey. Jared is originally from California, having moved to New York in August of 2015. After receiving undergraduate degrees in math and physics from UCLA, Jared taught math and science in West Africa for one year, an experience which led him to pursue a career in serving disadvantaged students in post-secondary education. In May of 2015, he graduated with a PhD in math from USC, and is now very fortunate to have landed his dream job among so many like-minded colleagues here at Guttman. Outside of academia, Jared enjoys the following activities: music (drums and piano), yoga, swimming, basketball, church, language-learning (currently Vietnamese), traveling with his wife, and reading sports news. Elizabeth Wentworth graduated from the University of Rochester with her Bachelor of Arts with majors in mathematics, music and English as well as a minor in history. While at the University of Rochester she served as an editor of the Campus Times. The following year she graduated with her Master of Arts degree in mathematics education from Teachers College Columbia University. She is currently a certified doctoral candidate at Teachers College completing her Doctorate of Education in mathematics education. Her thesis is focused on using music to teach advanced mathematics topics found in algebra courses. She researched the impact that mathematically motivated music instruction had on high school mathematics students and their performance on both mathematical content and mathematical applications. While at Teachers College she served as an editor of the Journal of Mathematics Education at Teachers College (JMETC). Elizabeth has taught Quantitative Reasoning, Elementary Algebra and Precalculus in her two years as an adjunct at Guttman. Now as a substitute lecturer she continues working with these courses. Before coming to Guttman Elizabeth taught at Indian Hills High School in New Jersey where she spent three years working with students in Algebra, Geometry, Algebra II and Precalculus. She also coached the Math Team and the Academic Decathlon. Katie B. Wilson, who graduated with a B.A. in Bio-Psychology from Skidmore College, an M.A. in Integrative Health from CIIS and is finishing an M.A. at CUNY Graduate Center in Urban Education and Youth Development, teaches Urban Community Health at Guttman Community College and coordinates Global Guttman, the college's global learning initiative. Since 2000, Wilson has led educational programs for young people in Italy, Switzerland, France, Australia, Fiji, the BVIs, USVI’s, throughout the US, to Ecuador and to Berlin 4 times with her most recent project, a cross-cultural exchange for college students in NYC and Berlin, Germany. Her most recent scholarship focuses on best practices in assessment/evaluation of global learning outcomes for short-term, faculty-led study abroad programs. In 2017, Wilson was selected to speak about the Global Guttman model on a NAFSA Webinar panel, Architecture for Global Learning and in 2016, presented Global Guttman’s best practices at the AAC&U Global Learning conference. Luis Zambrano is a mathematics instructor at Guttman Community College since Fall 2016. His primary area of interest is supporting access to and success in undergraduate mathematics education for all students. 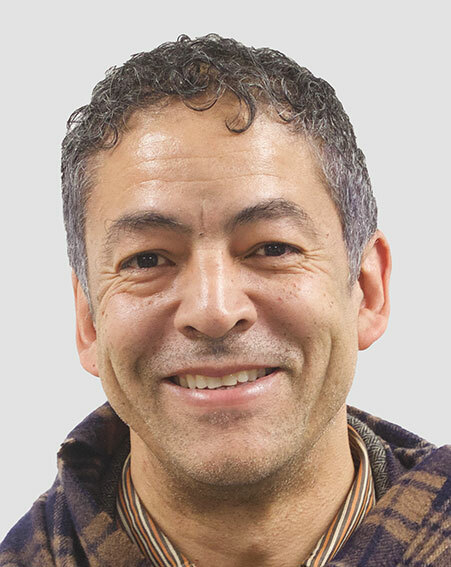 He was a recent nominee for Baruch College’s President’s Award for Excellence in Teaching and was also recognized by Los Angeles Community College’s Faculty Learning and Teaching Award for innovative and successful uses of literacy in STEM learning. Current work, based on the belief that students innately possess the power not only to direct their own learning but also to gain mastery of any content, seeks methods by which students can draw upon immanent skills and knowledge, including native creativity, to direct and command their inquiry of mathematics. He holds a Master of Science in Pure Mathematics from California State University, Los Angeles, a Bachelor’s degree in chemical engineering from the University of Minnesota, and has also completed post-graduate studies in classical theatre performance in England. He is currently a doctoral student in the Urban Education PhD program at the Graduate Center, CUNY. Prior to university teaching, he taught secondary mathematics and chemistry in both the Los Angeles and New York City departments of education.